If you are using a smartphone, then you might have understood the importance of having a cell phone holder to secure your device in a particular location. These mobile stands are available for car, bike, cycle, motorcycle and on a desktop. No matter whether you are using iPhones or Android phones, you can easily find the appropriate mobile stand to keep your phone secured. Many leading companies have involved in manufacturing these cell phone stands which are suitable for a broad range of mobiles. We have come up with a list of the best five mobile stand you must consider or opt for your cell phone. We have also highlighted some of their features which let you make an informed decision. If you are looking for phone stand used only in car then you should check our this post. Else enjoy reading here! 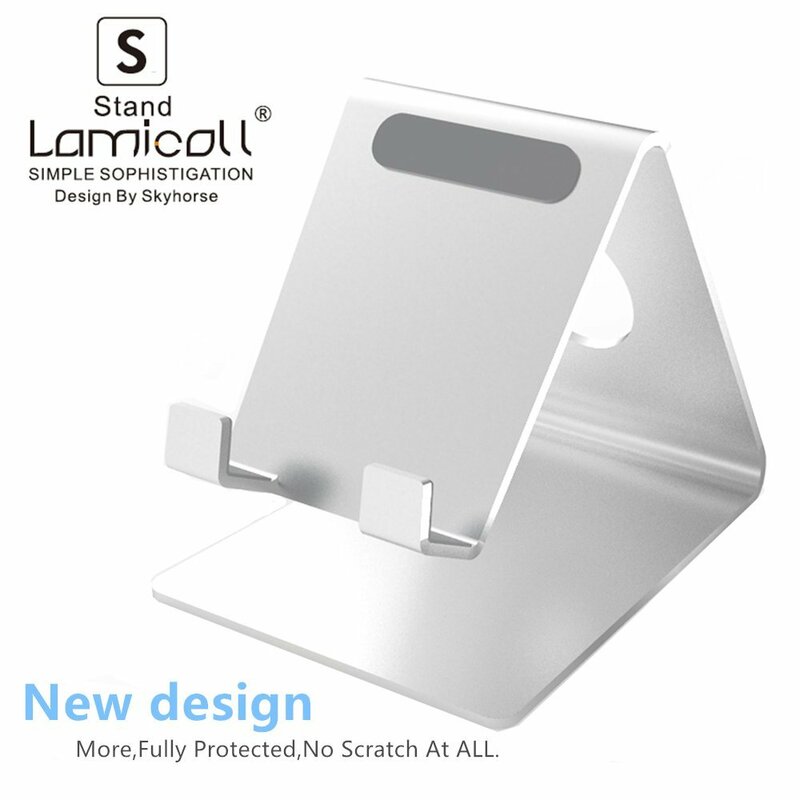 Those who want their electronic gadgets to be in good condition, then you can consider purchasing Lamicall S1 cell phone stand which is designed to fulfill the demands of the mobile phone users. You can get these high-quality products at affordable prices when you choose to purchase them online. This is a shining, and silver color stand made of the aluminum material. It is lightweight, portable and edgy and is compatible with almost every smartphone device. 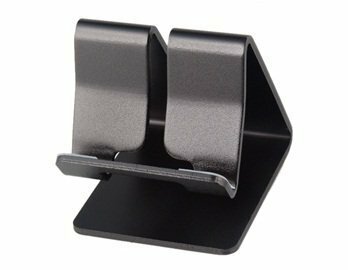 Whether you are looking for a mobile phone stand for your iPhone, Android phone, tablet, iPad or any gadget, you will be able to enjoy the compatibility of this device. Comes with an angled support for face time as well. Includes rubber pads which can protect your device from potential scratches and slide. Comes with 18 months warranty from the manufacturer. 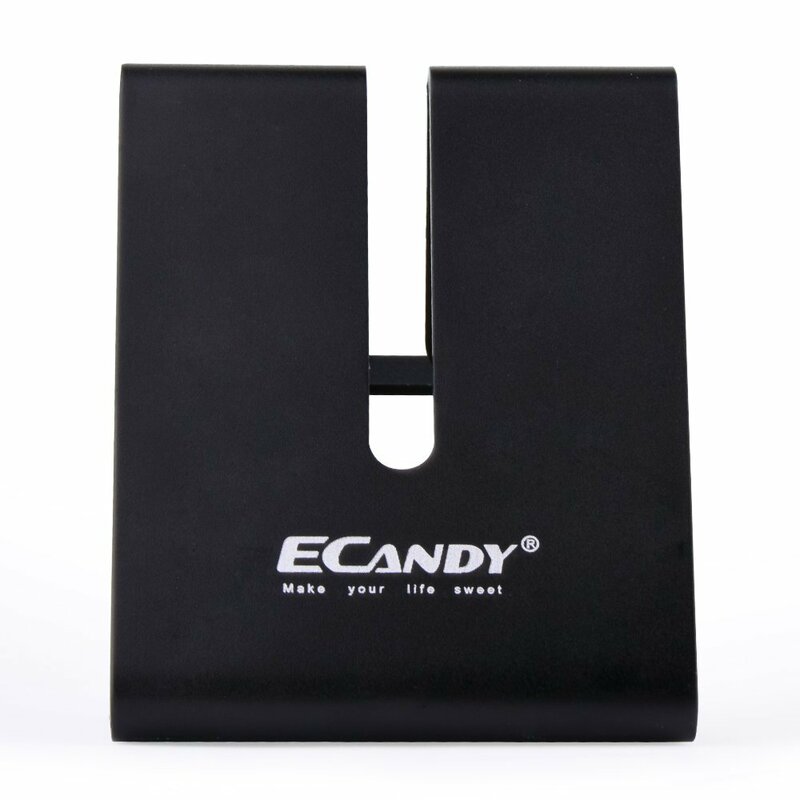 eCandy 164 mobile stand is one of the best cell phone stands that can ensure protection to your mobile phone. This stand is made out of durable and top quality aluminum material. This mobile phone stand can withstand several years of wear and tear. It includes sleek silver finish which could be complimenting for most devices in terms of style and color. This stand is designed in such a way that it locks and releases the device just within a push. It is also compatible with most of the cell phones regardless of their size and style. This unit features vertical and sideway stand to be suitable for both tablets and smartphones. To ensure easy charging, a special cut for charging port is included on the back of its frame. Nanometer and micro-suction` technology are used to grip the cell phone at the desired angle. Any device with flat back cover gets fitted into the device. Aluminum alloy material is used for manufacturing these mobile stands and so, you can be sure of their durability and longevity. The Elago M2 Aluminium Style Smartphone Desk Stand remains to be the best stand for your smartphone. It is designed to be gadget friendly and can be used for placing the mobile in a vertical and horizontal position to ensure a stable mount. 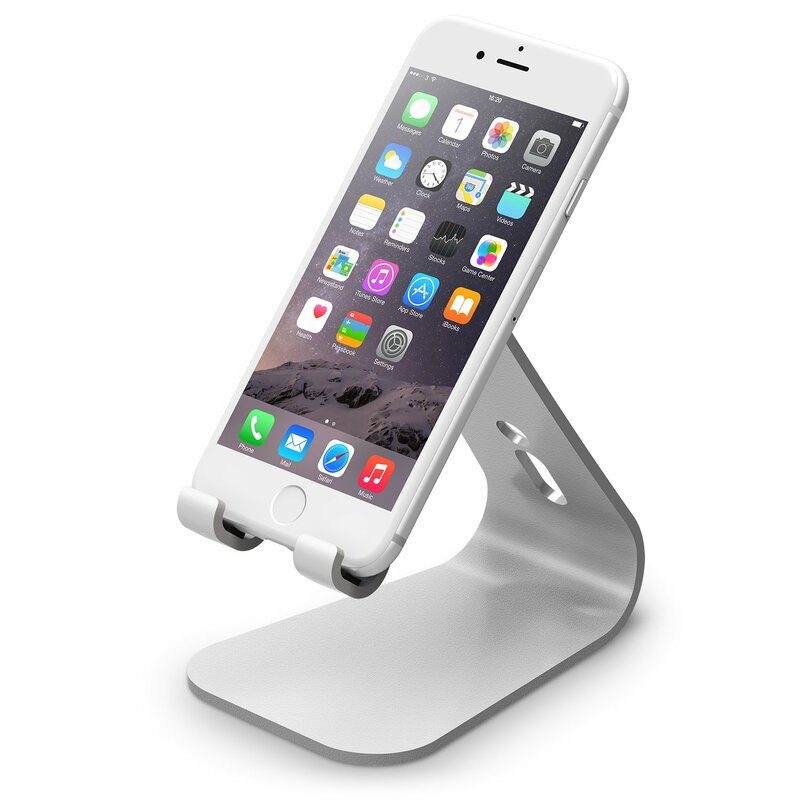 Elango M2 Smartphone Desk Stand provides a dedicated home for your cell phone and looks great on the desk or table. This aluminum mobile stand from Elango is stylish, small and lightweight and is perfect to hold the smartphones securely. You can place your cell phone in any direction to ensure that your mobile phone remains visible always. Perfect to watch movies, follow recipes, read e-books, surf the internet, view photos and conduct presentation with the help of this stand. >>> Read the detailed post for Bed Side Phone Holder, which assists you in daily chat, call and movie watch. 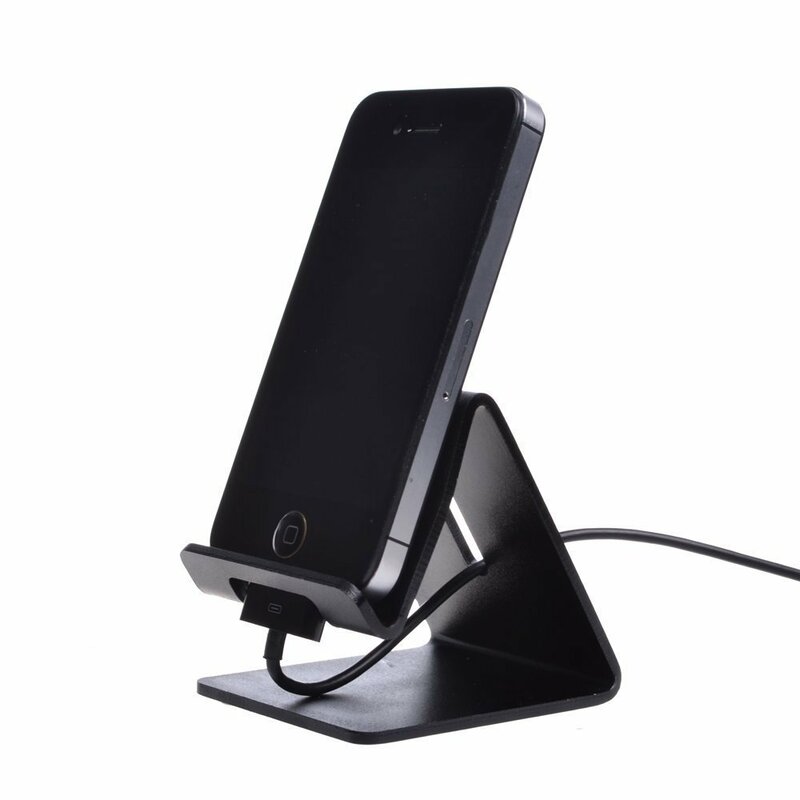 This portable and rugged desktop stand is a high-quality mobile phone stand from ESON Style. It is worth to purchase this stand for your mobile, regardless of its brand, size, and style. These stands come with two modes such as landscape and portrait mode, and you can choose the one based on your requirement. 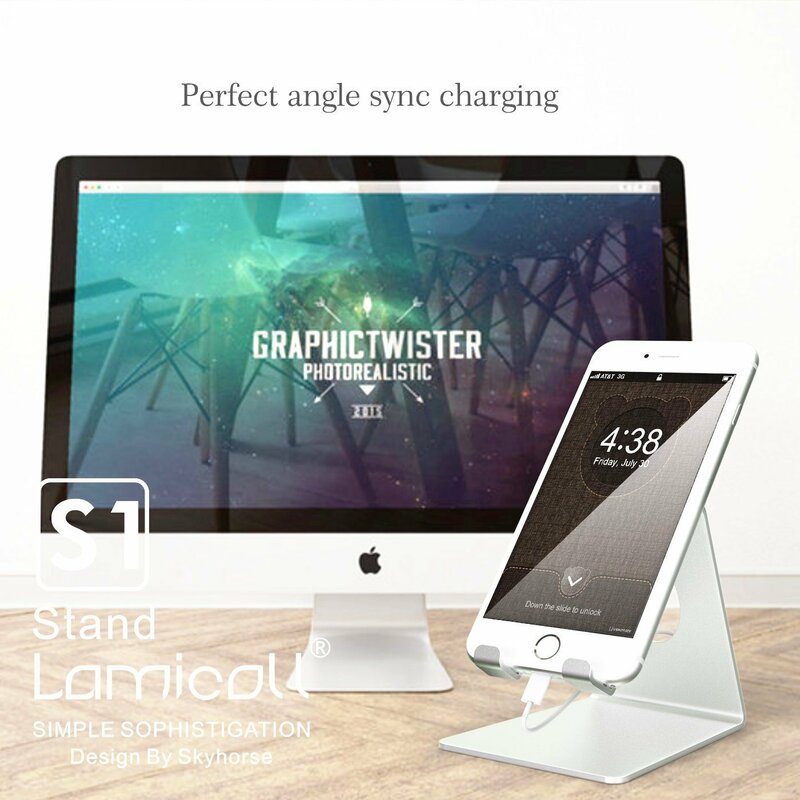 You will enjoy excellent versatility in this desktop stand, which means that you can charge your phone, sync your phone and watch videos knowing that your investment stays safely in a durable aluminum stand. Patented angled support system is used to ensure that your device remains safe when you out it away to watch movies or videos. Weigh only 100 grams and is one of the light weight stands available in the market. High-quality mobile phone stand made of solid aluminum. This is best mobile stand you must consider if you own iPhone 6s or Samsung galaxy note. 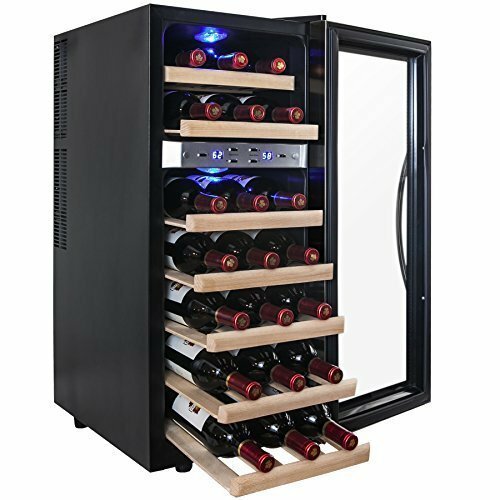 It has two locking level whereas the first locking is used for flat and the second locking position is appropriate for smooth surfaces. Of course, second locking feature can be utilized for curvy surfaces which require a good grip. One Touch 2 comes with a telescopic arm which can be extended up to 2 inches to provide different viewing options while mounting the device. 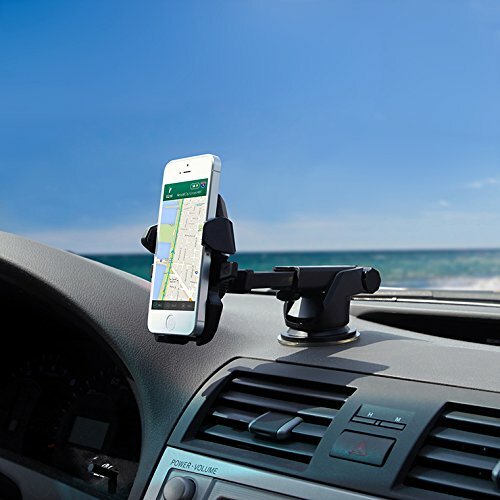 As this car mount grips your device securely, you can drive your vehicle confidently. Provide a safe, highly functional and versatile mounting solution for any smartphone. iOttie patented one touch locking feature and the iOttie super sticky gel pad. Available with a two-step locking level to makes it easier for you to mount the device on any surface.